Experts in the around 1,500 companies in the packaging industry are racking their brains: What can we think up to surprise the approx. 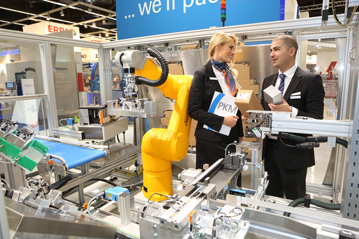 37,000 visitors at this year’s FachPack in Nürnberg? Will our new developments and improvements be ready in time for the start of the exhibition on Tuesday, 24 September? 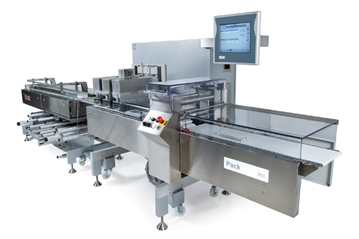 Innovations can be expected along the whole packaging process chain – and thus in all four segments of FachPack: packaging, technology, processing and logistics. There will naturally be a high concentration of innovations in the pavilion in hall 9, where about 20 young innovative companies present their products. One of the dominating issues in the packaging industry is food safety. The horse meat scandal at the beginning of the year got the discussion going on labelling, traceability and logistics. Recall actions due to foreign bodies in the products are another maximum credible accident the processors want to avoid at all costs, as their image is at stake. Quality assurance is therefore on the agenda too. The packaging supplies manufacturers are also concerned about migration, which can adversely affect the quality of products. The priority for packaging materials is on product protection, as food involves more resources than the packaging. Food product losses cause higher CO2 emissions than can be saved by using less packaging material. Material reduction or substitution is therefore always accompanied by optimized properties. The aim is to develop bio-based, intelligent and sustainable packaging systems. Initial packaging with a covering film of a paper-plastic composite is already used for cheese and sausage. The paper can be removed again from the composite material for the window cut-out using laser cutting. This makes cut-outs possible in any desired shape without having to use special tools, because laser cutting is easy to program. The appearance and touch are the same as paper and functionality is provided in terms of barrier properties, running properties on machines, rigidity and printability. The composite saves fossil raw materials and offers new potential for differentiating between products at the POS. The individual window shapes allow a view of the product. MAP (modified atmosphere packaging) protects food well, is consumer-friendly and usually resealable, although a problem still exists here between the force needed to open and reclose the package. It offers good barriers against gases, vapours, light and aromas and active properties like oxygen scavenger, moisture control or UV protection. The use of active substances like silver or nanosilver for anti-microbial treatment of packages is controversial. They could migrate into the product and they only kill germs if the products are moist. Their effect is very much slower at cold store temperatures. A consortium of research institutions, a chemicals concern, meat processing firms and manufacturers of packaging systems are working on the “Safe-Pack” project – a plastic material that kills bacteria using a purely physical principle. This introduces an additional active agent, which could migrate to the content of the package. This material significantly extends the durability of fresh meat products. It will certainly take some time until the new packaging material can be used, as it still has to pass the regulatory approval procedures for food. Adhesives are found in many food packages. Their spectrum of use ranges from folding boxes and labels to film packages. Spicy sauces and food containing vinegar or other acids place high demands on flexible packages. The aggressive contents damage the packages, including the adhesives used for laminating the packaging films. New laminating adhesives with a large non-volatile component manage with less solvent and suppress this unwanted effect. This saves material costs and reduces the energy consumption, as less power is needed for dryers. Another advantage of these adhesive systems is that the bonding agent used no longer blocks the application cell of the roller. Cell blocking can be avoided and the amount of adhesive used can be kept more constant over the whole application. The machinery manufacturers have developed a number of inspection systems that can be integrated as modules into existing plant. Besides detecting foreign bodies, some of them take over additional tasks like weighing, verification of markings or leak inspection of the packages. MAP packages are increasingly used for meat and sausage, cheese or convenience foods, not least because of the trend to more convenience. Modular test systems supplement form, fill and seal lines and ensure reliable automatic checking for fault-free sealing seams, readable and correct labels and foreign bodies. 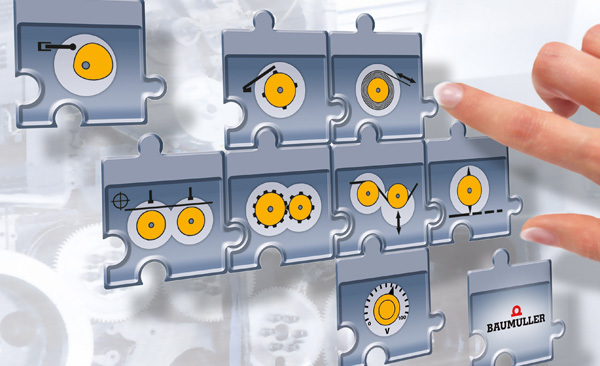 Depending on the user’s requirement, multisensory inspection units can carry out optical or mechanical checks or combined optical and mechanical package checks. 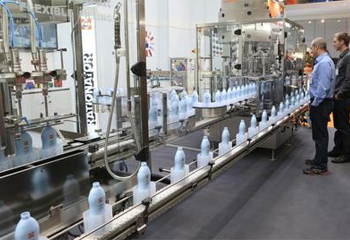 Advanced functions include simple setting up of packaging configurations on the screen, so that the control parameters for the next product can be called up quickly after changing the size or product line. X-ray technology is becoming increasingly established for the final inspection for defective products or foreign bodies. The equipment operates at very low x-ray outputs of 50 or 80 KV and is approved to the EU directive as inspection equipment for food. Compared with metal detectors, X-ray systems offer the advantage that aluminium-coated material or metallized films pass through without problems. They also find plastic parts, bones, glass splinters and other foreign bodies that can find their way into the product during processing. Different products and packages can be inspected at the same time without changing the equipment settings. Incorrectly positioned products do not cause error messages. It is even possible to examine parallel-running product lines at the same time. Pushers or air jets with lockable containers can be used as separating systems to remove defective products. The throughput speed and image processing for documentation are adapted to the plant outputs. X-ray inspection systems are usually equipped with lead curtains on both sides to protect packaging line operators against stray radiation. These can, however, push very light packages like deep-drawn packages or trays with sausage, cheese or fish out of the track during feeding and cause a product hold-up. A new x-ray inspection system manages without lead curtains. Instead of curtains, an ascending belt lifts the packages to a level above the normal transport height, where they are fed to the x-ray scanner. A number of deflection plates protect the operators against any stray light escaping. The products are lowered back to the normal transport height below the deflection plates after the x-ray inspection. The food industry has been startled by the fact that components of printing inks can migrate through packaging materials. The focus of this discussion is now also gradually turning to adhesive labels. A multilayer technology has been developed to prevent migration without changing the adhesion properties of the adhesive. The adhesive is then applied together with a special intermediate layer, which is approved for direct contact with food – with dry, moist and greasy surfaces. Although the label printing does not come into direct contact with the packaged food, solvent residues or other chemical substances can migrate. For example, cups for delicatessen are often labelled by the manufacturer and then stacked together for sending to the filler. Chemical substances from the printing process can then pass to the inside of the cup and into the food. So it depends on the composition of the printing inks, which is adapted to the respective printing process. The electron beam offset process for package printing offers a high degree of food safety, because it is free from other usual printing ink components: EB inks are pigment inks without additives like solvents, plasticisers, photo initiators or mineral oil components. In the EB offset printing process, the colour components are not cured by heating or UV radiation after applying the colour, but by electron beams. EB offset as a cold drying system is therefore an especially careful process for substrates. EB offset inks can also be used for front-side printing on the finished composite or mono films. Lamination is not necessary to protect against colour pick-off in the roll. The legislators are continuously increasing their requirements for the documentation of production data. The food industry uses different machines from various manufacturers for this task. A project group of leading machinery manufacturers, VDMA (Verband Deutscher Maschinen- und Anlagenbau – German Engineering Federation) and universities has therefore defined a standard interface for machine-to-machine transfer of important batch and production data. This Weihenstephan Food Standard is a concept for non-proprietary machine integration that enables standard data acquisition and evaluation for process optimization in the food industry. Comprehensive data transparency in the supply chain is not only essential for recall actions, guarantee cases and anti-counterfeiting, but also for controlling resupply. An effective information flow in the supply chain must be integrated and related to the physical supply chain in order to have relevant information available at all times. Every object from raw material and batches to pallets must be recorded and traceable at every level. This requires the possibility of joint collection from a heterogeneous IT environment. Rationalized and standardized identification of goods along the supply chain with serialized data matrix labels helps in the fight against counterfeits and parallel markets. 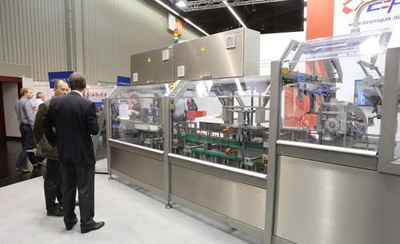 FachPack 2012: Ever packed satisfaction? 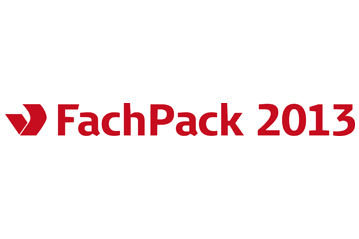 FachPack 2012: Ever packed a success story?